Hey look! 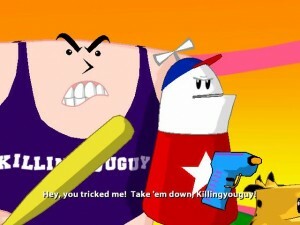 It’s the fourth Homestar Runner game. This time the cast and crew make a really bad action movie. With four episodes down and one to go, are the Brothers Chap and Telltale running out of steam, or are they just getting started? 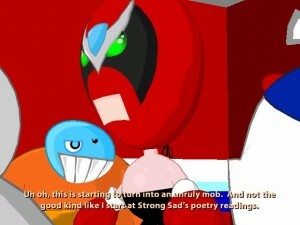 Okay, I love Strong Bad. I have laughed out loud at every one of these games. Dangeresque 3? Not once. Not even a chuckle or a smirk. In fact, I was bored, annoyed and rolled my eyes through the two and a half hours I played this thing. I can honestly say this is the worst thing I have ever encountered from the Homestar Runner universe. So here’s the plot. Strong Bad and friends make the third Dangeresque movie. Dangeresque is hired to find a potion that will save the rainforest. However, the game instantly devolves into a series of fetch quests. Oh, you ruined the potion? Well this doctor will help you if you gather these items. Then the original person who hired you is kidnapped and so you have to fetch two people to help you who in turn have quests for you, and then you have to fetch two bad guys, one of which you already did a fetch quest for earlier in the game. The whole thing then devolves into you going to the moon and fighting an evil robot and launching the cheat into space. The end of the movie. I get that it is supposed to be cute that the HS cast is making an awful movie and playing awful characters and that it is supposed to be SO AWFUL that it’s funny. The problem is that it’s so awful that it is actually just AWFUL. This is not MST3K irony, this is just a badly scripted game with the only attempts at humour being HS characters using accents or dressing in weird costumes and then sets falling apart. Which again, isn’t funny. Where’s the quality emails? The Teen Girl Squad? The intelligent and witty dialogue? Because it sure isn’t in this game. Like the last three games, we’re seeing the same character models, but with new costumes. We’re seeing a lot of the same backgrounds, but with cardboard bits everywhere to act as movie set locations. There’s still a bid of haze and jaggies in the game, especially with the new costume pieces. Strong Bad’s Dangeresque glasses don’t hold up on my high definition screen and so he can be fuzzy at times around that part of his head. There are no slowdown issues and what’s here is a perfect representation of the cartoon’s visuals, but it’s also a few steps down from what is possible in a PC Adventure game these days. I’m glad Telltale is being authentic to the visuals, but even the flash cartoon doesn’t have the jaggies or fuzzy bits this episode has. Although I like the idea of dressing up the same area multiple times as different exotic locations and the creative ways background were reused, D3 is still a setup down from the visuals in the first two episodes thanks to the haze issues and the noticeable dullness of colours and visuals. 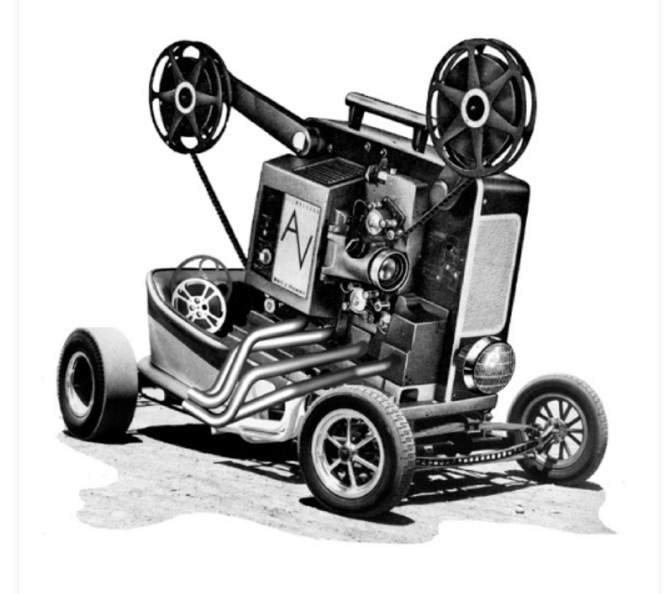 With each passing game the bugs regarding sound quality have become more noticeable and more unavoidable. This time, the sound cut out for several locations and did not come back on until I saved the game and rebooted it. Because two thirds of the games value comes from the voice actors and the wacky dialogue, this is a huge red flag. There was also the occasional Max Headroom like error where the dialogue backed up a few words and started over. Again, this isn’t cool and it makes me wonder how each episode could be getting worse in this area instead of better. I’m starting to think Telltale is just rushing through these and concentrating more on Sam and Max: Season 2, which is apparent considering the name dropping and visual appearance of the dog and rabbit team in the card game you have to play. Although the entire cast is back doing the characters we all know and love, there was a huge drop in quality here. Characters weren’t up to snuff or portrayed with as much energy and vigor as they usually are. Coach Z cracked into his real (or another) voice at least twice and you could feel (or hear rather) that the cast wasn’t putting their usual energy into the game. This combined with the audio bugs continues to make D3 the worst Strong Bad episode yet. This is one area where things have slightly improved. 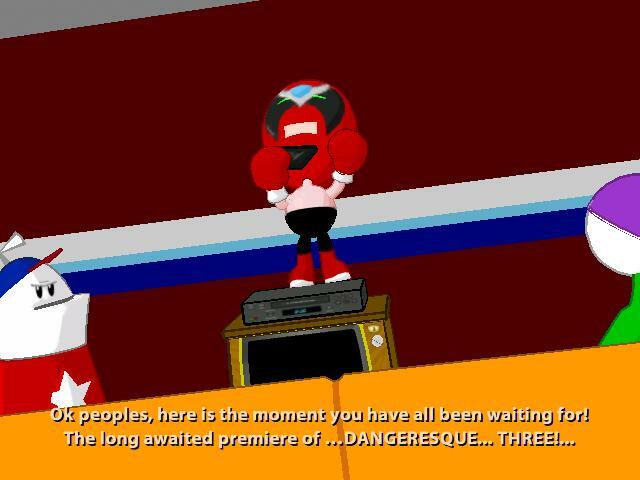 If you’ve read my previous SB reviews you’ll remember that there were mouse point and click detection issues with movie Strong Bad, especially in his house. These errors are almost all gone, which may have something to do with the slight redesign of all the backgrounds. That doesn’t mean they aren’t there however, as there were some instances where I had extreme difficulty moving SB to where I needed him to be in order to dig up an item with the Black Metal Detector. The dude just did not want to go behind that riverboat. 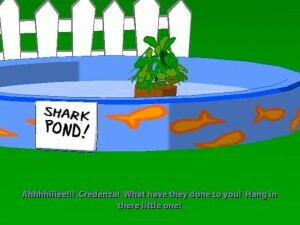 Other than that, you’ve got your standard point and click game here. You use the mouse to move around, talk to people and use items. There’s no combining of items. It’s just straight up talking and fetch quests in D3. Although some puzzles are kind of original such as Paper, Rock, Baccarat or the Car Chase scene with “KIllingYouGuy,” almost everything else in the game is boring and repetitious. For example, it takes FOREVER to get through the Strong Sad Informant bit, because to advance you have to click on every possible dialogue piece with every single character and then go back to the fake Strong Sad and question him. Even if you figure out which is real the King of Town early on, you still can’t proceed until you’ve done all the scripted bits. Most Adventure games reward you for figuring things out early. Not this one. Same with the chasing down an ex-gf jewel thief. You’ll drive yourself mad trying to get a hold of her until you realize you just go to Paris, click on your map and then click on Paris even though you are already there. Usually this resets the area, but not this time. After four straight game where this happens, it’s very hard to get your head around the idea that there might be one time where things don’t play exactly as they always have. Ick. So the controls have improved, but instead of being a constant array of interesting puzzles, episode four has degenerated into fetch quest hell with the occasional puzzle that doesn’t test your wits only your patience. God knows Dangeresque 3 was one of the worst Adventure games I’ve played this year, albeit it not as bad as Dracula 3 or Riddle of the Tomb. However, Telltale must have realized the game from pretty bad as they made sure the only way you could finish off your score chart was by putting most of the goals into extended play. Want to finish off your Spit Takes? Extended Play. Want to finish your Costume collection? Extended Play. And the thing is, this is just padding for those suffering from OCD. The genuinely fun reasons to use extended mode in the previous SB games have come from the Teen Girl Squad comic (Which is utterly missing here) and the fun dialogue, which is again absent. So the only things worth replaying D3 for are to finish off your score chart for a higher score in the game, and to play this month’s retrogame parody called Space Circus Catastrophe , which is actually the most fun piece of the game. It’s like the classic Flight Simulator except you save circus animals with fishbowls on their head, shoot clows and dodge giant circus peanuts. Cute and far more accessible than the previous two game. Snake Boxer V is still the best though. There’s no point to ever replay this episode and the extended play content is the worst of the four games, but at least these games have an extended play mode though. Usually Adventure games offer nothing but a one time linear playthrough. Stay for the retrogame and ignore everything else. This is the least unbalanced of the Strong Bad games due to the sharp decline in puzzle quality. Fetch quests are hated by all, regardless of their experience with the point and click genre. So why revolve the whole game around it? Why also would you create a puzzle involving travelling all around the “World” that takes at least twenty minutes to complete when that’s a sixth of the game and there’s no way to cut to the chase, even when you’ve figured everything out. God, I want to just stop the game right then and there. Even the two puzzles I mentioned I liked in the control and gameplay section and the maze of Mexican food items were a bit subpar. These were the shining parts of this game and to be honest, they were dull at best. 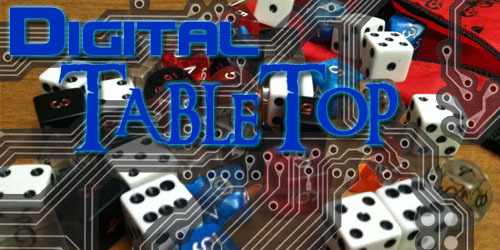 Because of all the backtracking and the boring plot, you’ll find yourself playing to end the thing. It’s not that any puzzles are hard in this one – they’re just long, boring, or just take you out of the enjoyment of the game, what little there is of that anyway. Just a very vanilla set of puzzles that won’t entertain anyone but the most zealous of Strong Bad fans. As I said earlier, it is obvious burnout is setting in on both sides of the game. The energy of the actors is dulling and Telltale was willing to lower itself to the lowest common denominator of Adventure cliches for this episode. I admit that some of the set ideas and the cheesy movie factor is a bit original, but this has been done before in the cartoon and as such makes this not only the least inspired episode in the series so far, but also the least original. The previous three games at least offered totally new off the wall nutjob plots. D3 is just squeezing blood from a stone that every few people liked in the first place. Unlike the previous Strong Bad games, Dangeresque 3 was utterly boring and I couldn’t wait to turn this thing off. At least it was short and featured characters I like, albeit it in a variant I’ve never enjoyed. 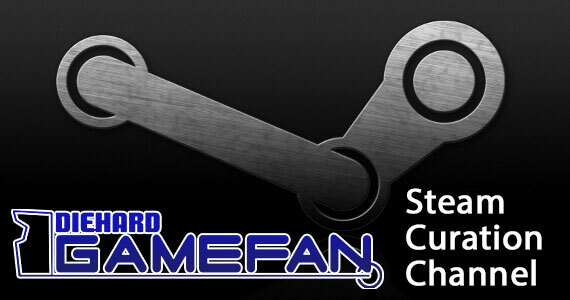 This was such a disappointment, especially after the previous three games which I all find funny and worth playing. I didn’t enjoy this at all, and the only people I can recommend this to are the people who purchased the season pass because hey, you bought it so you might as well try it. At least it was short unlike the days I spent on Kheops Adventure games. Yuck. Out of all four games, D3 is the least accessible of the titles. Now gamers will not only have to know Who Strong Bad is and what Homestar Runner is, but they’ll have to get all the in jokes from the previous Dangeresque bits, which were neither funny nor entertaining to begin with. That means only the most ardent of HR fans will get something out of this game. But then, I always though *I* was one of those and I absolutely hated this episode. This isn’t just the worst of the Strong Bad games, it’s the worst thing I’ve ever seen the Homestar Runner characters tied to. I’m sure some people will enjoy it because it’s The Brothers Chap, but that’s what I call blind loyalty. I have to be honest, this is the third worst adventure game I’ve played this year and god knows I’ve played a lot of them. There was nothing I can say I honestly enjoyed about this game and this is coming from someone who owns a The Cheat, has a Strong Bad T shirt and purchased Guitar Hero II just to play Trogdor! The game’s sound issues were unacceptable, the plot was boring and insipid, the puzzles were trite, and the game lacked any real comical bits and where the hell was my Teen Girl Squad. This was a massive disappointment and the preview for episode V was better than the entirety of Episode Four. That’s pathetic. Seriously Telltale, you should be ashamed of yourselves. This is the worst offering you’ve put out in the history of your company. 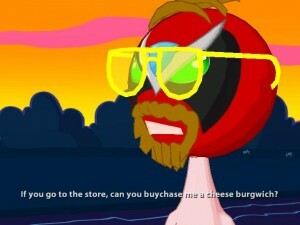 Strong Bad’s Cool Game For Attractive People Episode Four: Dangeresque 3 is a disappointment in every way. The audio bugs are unforgiveable, the story is neither funny nor entertaining, the puzzles are unininspired and most of the game boils down into one giant fetch quest. It’s apparent that Episode Four was the throwaway in the series and the lack of quality in this game is even more apparent when compared to the previous three entries. There is absolutely no reason to spend your money on this, even if you’re a huge Strong Bad fan. If you already bought the season pass though, you might as well see what your money paid for – but get ready for an experience that will have you praying for burnination.